Password management tools are in abundance when it is Mac OS X and some of them are free, others are still priceless although you pay for them. And none of them can be regarded as a inferior tool to other as most of them work in the similar manner. 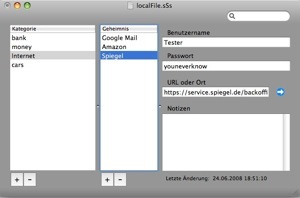 One of the good password managers is SharedSecrets for Mac OS X, which stores all your passwords and PIN information offline in your Mac database. There is a reason for using this software. You would be registering and having hundreds of logins for various websites and so, it would be hard for you to remember logins for every one of them, and believe me.. it’s not safe to save every password in your browser’s password manager. This SharedSecrets password and PIN manager is a free application for Mac, where you can store unlimited accounts and passwords and manage them with a single master password. SharedSecrets was developed with your security in mind. The program’s datasbase is stored with a state-of-the-art encryption at your computer. Whatever secreit you store, it is truly “for your eyes only”. In Safari, go to the web site and fill in the form, but do not press the “Login” button. 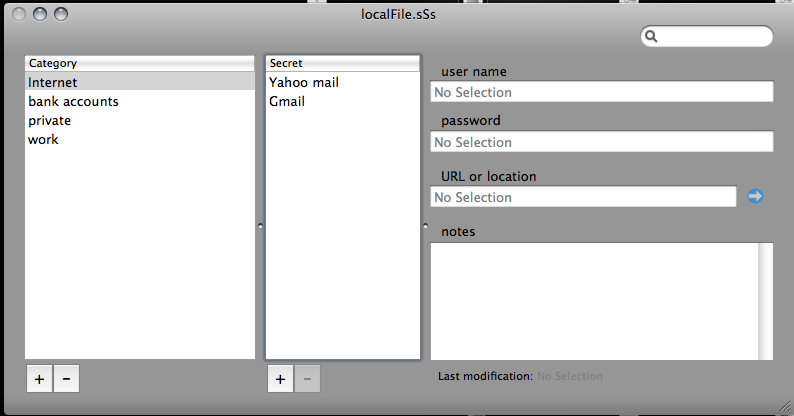 Change to sharedSecrets and choose “learn secret from Safari” in the Safari menu. The new secret is now in the category “learned from Safari”. Drag it to a category of your choice. Maybe you want to change the name of the secret. Download the SharedSecrets Application from here. Another bad news for me… Is there any available software for windows?.. It would be very useful for me..
great info but I am not using Mac. if you’re on a pc, you can use a software called PINs. I use it since a while and its all you need really. Sorry you have to find it youself though.